If you like extreme ghost hunts then look no further and join the Dusk Till Dawn Events Team for a night inside this formidable location, but one warning this place is certainly not recommended for the faint hearted! History - Revesby Abbey in Lincolnshire was once the home of Lady Beryl Groves - the property lies in 10 acres of land hidden away from view and is accessed via a wooded entrance lane - sitting adjacent to a medieval deer park. This is a Grade I listed building, which was built in 1845 in the "Jacobethan" style, by architect William Burn, for James Banks Stanhope. This former abandoned building was left in a state of disrepair prior to its new owners who purchased the property with the intention of slowly restoring and renovating to its once former glory. Inside this very intense and scary location, we have access to the dark, chilling lower level basement situated beneath the main Abbey building, join us in the ominous brewhouse and cellars which can be found under the stables, along with the Butlers pantry and Butlers living quarters, not to mention the very active small concealed tunnel area all of which are awaiting you for a night of ghostly investigation. A maze of rooms and recesses can be found in this basement area which was once the living quarters of the head Butler and Servants who served and worked here. Reports that a male spirit child and that of a ghostly male figure dressed in a typical butler’s style uniform have been seen in different areas of the basement. People have also reportedly said that they have been pushed by an unseen presence. These are just a few of the many encounters said to have been witnessed by visitors at this haunted venue. During our site visit very recently which was during daylight hours, we found this area to be unnerving to say the very least, by night fall this will take you to a whole new level of fear! 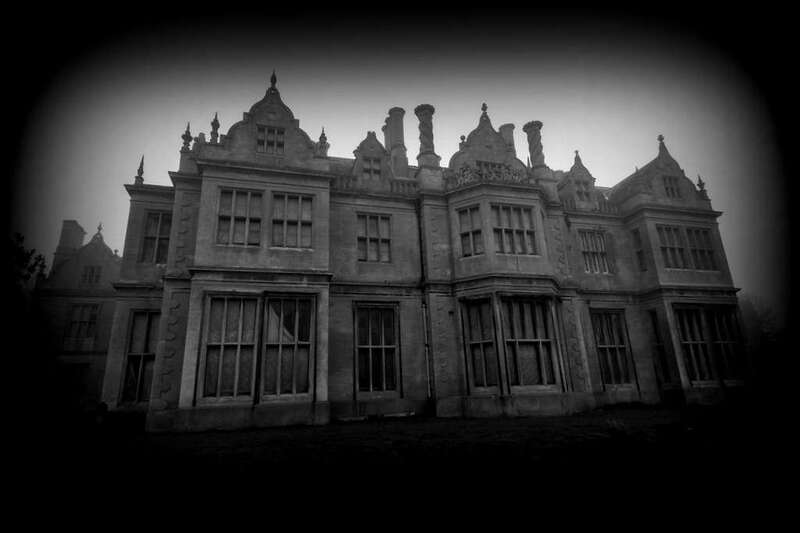 Revesby Abbey is a sight to behold, some areas remain untouched and remain weathered by time, we invite you to spend the night in the darkness with us inside the very atmospheric and incredibly scary part of the property where the Servants once actually worked and resided! Dusk Till Dawn Events invite you for a night’s investigation here and you have the chance to join in your very own Ghost Hunt at one of the UK'S Most Haunted Locations. You will have full use of Ghost Hunting Equipment and you can take part in various experiments such as Table Tipping and Glass Divination and watch and wait vigils throughout the night.